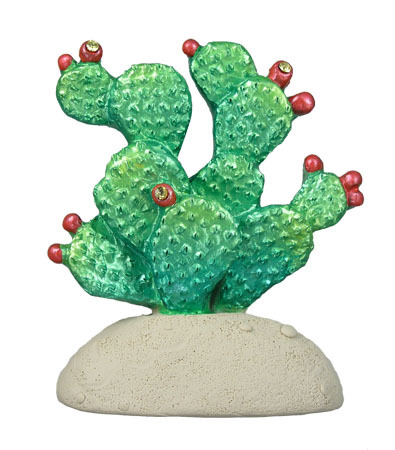 This colorful, jeweled cactus is a fine addition to our SouthWest theme category. Soon to follow is a Barrel Cactus. 2.6″ high.